A s one of the most distinguished neighbourhoods in South Florida, Bal Harbour Village offers a multitude of art, culture and world-class resorts within a one-mile radius. The Village offers four hotels that cater to various travellers’ needs: An exclusive beachfront enclave, The St. Regis Bal Harbour Resort features interiors designed by Yabu Pushelberg and offers white-glove service, from pet pampering to butler service, while The Ritz-Carlton Bal Harbour offers the ultimate privacy with only two guest rooms per floor, private terraces and semi-private elevator access. The iconic Sea View Hotel is home to one of Miami’s first Olympic-sized pools and 45 cabanas for families to lounge and enjoy the South Florida weather. The hotel’s snack bar serves classic milkshakes in a casual, vintage setting with easy access to the beach. The Quarzo Hotel offers the ideal family vacation with apartment-style accommodations with a full-kitchen and stylish poolside tee-pees for kids to “glamp” in. Guests staying at each hotel can take advantage of Bal Harbour’s Unscripted program, which allows access to the best museums in the city – including the Phillip and Patricia Frost Science Museum and Perez Art Museum. Known as the “Shopping Hall of Fame,” Bal Harbour Shops located within the one mile Bal Harbour Village is home to over 100 of the most coveted luxurious fashion and jewelry brands, including a Chanel boutique that is designed after Coco Chanel’s NYC apartment, Oscar De La Renta, Balenciaga, Dior, Harvey Winston and a two-story Ferragamo. Undergoing a 340,000-square-foot expansion, the open-air luxury shopping center will soon be home to the first Barney’s New York in Florida. 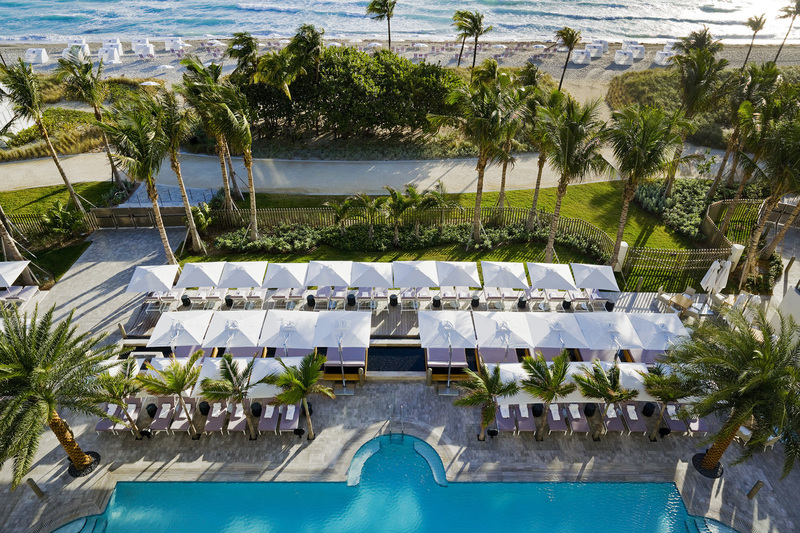 The St. Regis Bal Harbour Resort opened in January 2012 and is one of only two Forbes Travel Guide’s five-star resorts in Miami. The hotel features 216 luxurious rooms, and the property’s three, all-glass towers rise 27 stories above lushly landscaped gardens and an expansive stretch of pristine white sand on the edge of the Atlantic. Each tower has its own private lobby entrance, security, valet and covered parking. The signature St. Regis Butlers offer whiteglove service, from 24-hour in-room dining to pet pampering, while the 14,000-square-foot Remède Spa provides the ultimate spa experience and a state-of-the-art fitness center. Everyday indulgences also include fine dining restaurants, childcare, and poolside cabana and beach services. Distinctive elements include the serene gardens and sculptures with decorative fountains, as well as a premier selection of works by world-renowned artists. 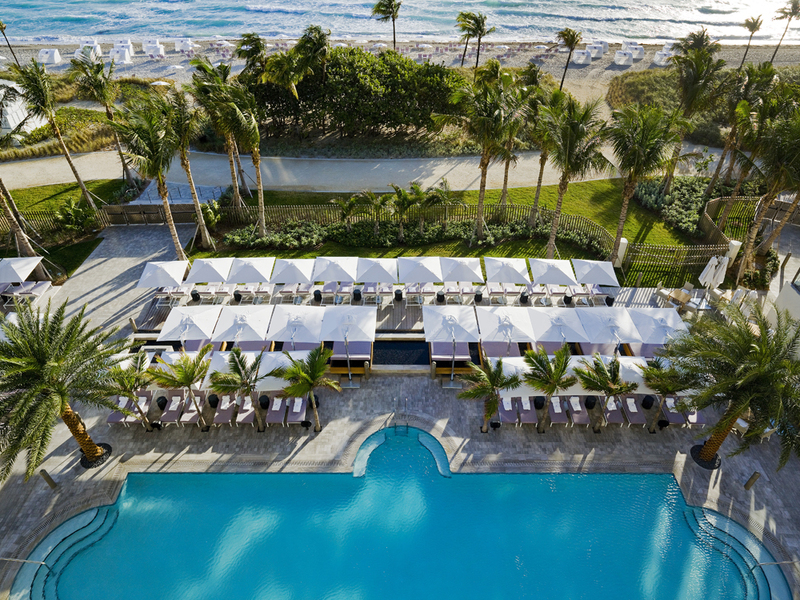 The Ritz-Carlton Bal Harbour welcomes guests to an oasis of tranquility, with impeccable service and world-class amenities to deliver the ultimate luxury travel experience. The 99-suite resort inspires from every corner, with each floor boasting two, private guest rooms with personal entrances to all accommodations. Offering oceanfront and Intracoastal views, the suites boast private terraces and semi-private elevator access. Nestled along pristine stretches of sand, the resort defines curated luxury with a one-of-a-kind 400- piece art collection on display throughout the hotel valued at more than $3.5 million. 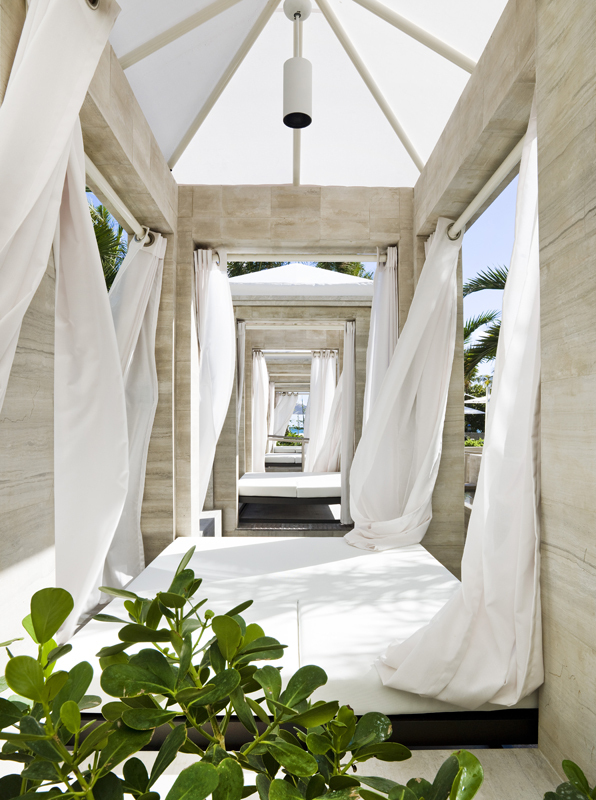 The resort also features an upscale dining experience at oceanfront Artisan Beach House; elevated swimming pool and private cabanas; a state-of-the-art fitness center with personal trainers and group exercise classes; and a 10,000-square-foot waterfront Exhale Bal Harbour Spa. Through the resort’s Couture Concierge, fashion-forward guests have unparalleled access to celebrity stylist Elysze Held, the hotel’s personal shopper who provides guests exclusive access to Saks Fifth’s Avenue’s “Saks at Your Service” offerings. The service brings personalized wardrobe consultations, styling and tailoring services to the privacy of a guest’s hotel room. 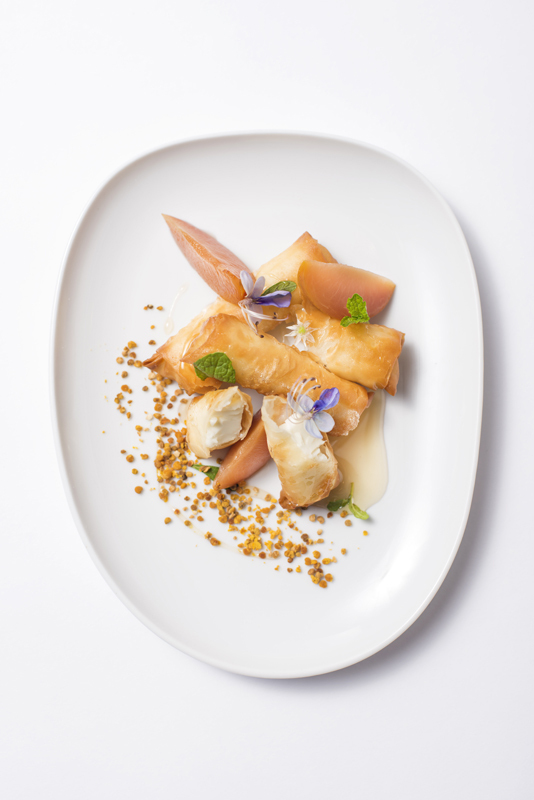 Bal Harbour’s dining scene has changed dramatically to mirror Miami’s culinary renaissance. 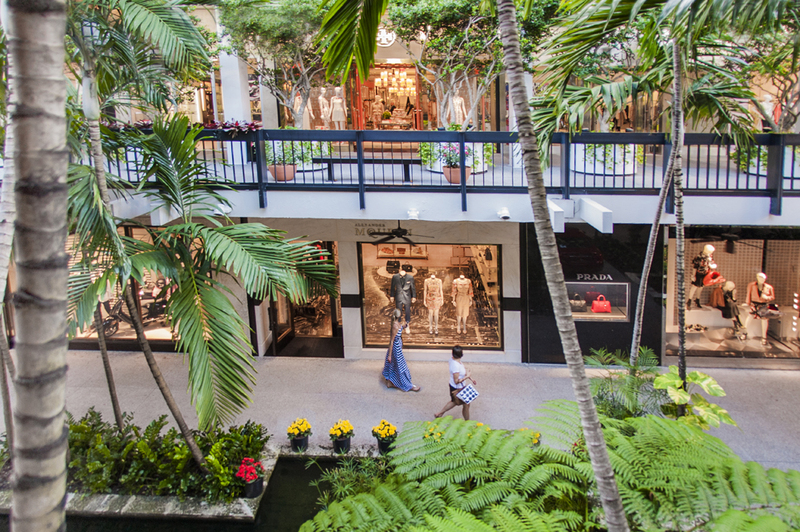 Bal Harbour Shops has become known for its hip eateries as much as its designer boutiques these days. Philadelphia restaurateur Stephen Starr has achieved stellar results with his adjacent Asian and French concepts, Makoto and Le Zoo. Both offer beautifully appointed interiors, as well as outdoor terraces to take advantage of balmy ocean breezes. Across the main entrance, Carpaccio feeds an astounding number of diners a day. Celebrities and jet setters are often spotted on its packed patio. Upstairs has a completely new vibe with the arrival of the Grill at Bal Harbour for classic and healthy fare from Hillstone Restaurant Group. The innovative, indoor/outdoor design inspired by a teak yacht feels akin to dining in a tropical treehouse. Also on the second level, Sante Fe News & Espresso has been remodelled with a brighter, more streamlined look. Though museums and performance halls are within minutes, culture blooms right here. “Unscripted Bal Harbour,” a public art program, continues its mission with another packed season of tours, talks and exhibits. ArtChats invite artists, art professionals and collectors such as Don and Mera Rubell, Jorge Pérez and Teresita Fernández to share insight into their passion. Residents and guests receive Art Access cards for complimentary admission and tours of local institutions, art fairs and exclusive events, an incredibly valuable perk during the annual Art Basel Miami Beach in December. 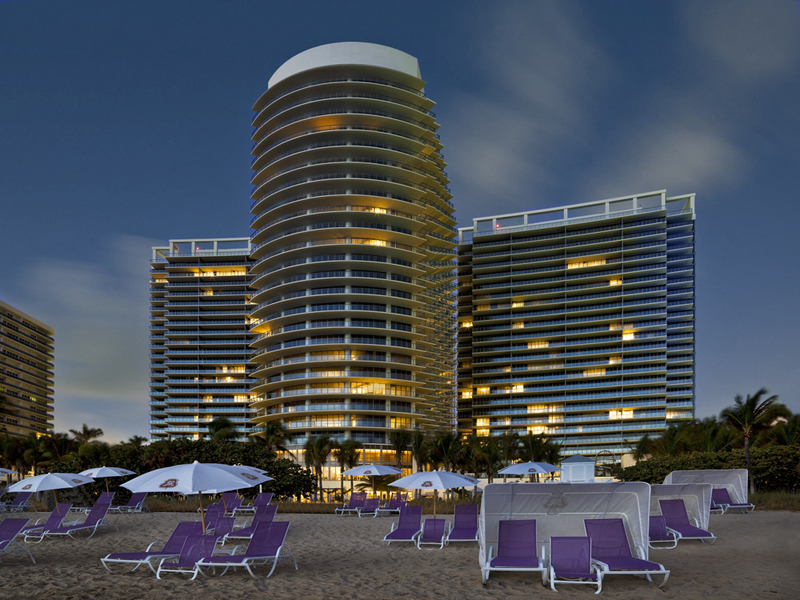 Begin and end the day with a sunrise or sunset stroll along Bal Harbour’s manicured beach. Get a cardio workout on the $3 million, onemile- long beach path with separate lanes for cyclists and pedestrians. As part of Fairchild Tropical Botanical Garden’s Million Orchid Project to restore native species to the region, the village purchased and planted 7,500 orchids in palm trees along the path. Another great way to experience the area is to be on or in the water. Hotel concierges are happy to arrange charters for snorkelling, diving and deep-sea fishing, as well as water-sports equipment from kayaks to paddle boards. Golfers can tee off at the city’s famed championship golf courses, including the nearby Miami Beach Golf Club renovated by Arthur Hill/Steve Forrest Associates.